Manchester’s digital economy is booming. Over the last few years our creative and digital sector has expanded at such a rate that Manchester’s digital city has a real chance of becoming an online-focused European superpower. Why? Thanks to creatives, young and old, embracing their talents and having the confidence to connect and collaborate within Manchester and beyond. A great recent example is the wonderful Code Computerlove, who beat global competition to totally reinvent HMV’s international presence. All well and good. But what does that mean for you, the small business? The business that is just finding its feet online and has little-to-no online experience? As far as you’re concerned more digital agencies in the region may mean more people getting in touch with you to sell you online marketing packages you don’t feel you need! You’ve heard of Google and SEO, you’ve heard of social media and Facebook advertising, but just don’t have the budget or time to try them out at the moment. Don’t worry. It isn’t as daunting as it all appears. There are a number of simple things you can do to connect your website not just to Manchester’s creative community but to target your online customers and increase your presence. There’s a reason everybody talks about Google. Google is, for the vast majority of brands globally, the primary source of traffic to their website, blog, or other online presence. Being in first position for a certain term or keyword, though, can net you upwards of 33 per cent of traffic for that particular search term. But it’s not wise to concentrate on that when starting out! You’re a local, Manchester-based business looking to attract the natives: shoppers that will be interested in your products that you can build a long-term relationship with. Ever searched for somebody on Google and noticed the map appear on the side of the search results? That’s because that business has taken the time to enter their business into Google Places. It’s Google’s way of categorising your business into its search engine with you showing up for local search terms, appearing on Google Maps, giving you a Google+ presence, and other benefits. It takes a few minutes to set up and gives potential customers a host of information about your business. Its address, its opening times, payment details, local parking options, and more. Customers can also leave feedback and reviews about their experience with your company and giving you a platform to respond in kind. Not bad for five minutes’ work! You won’t believe how often I hear that! The problem is usually a very common one, though, and very easy to remedy. A number of businesses have created social media accounts (Twitter, Facebook, Pinterest, and more) with the presumption that just owning one is good enough. But the clue is in the name: ‘social’ media! You have to talk to people and always be alert and on-hand to answer any questions current and potential customers may get in touch with. If you don’t tweet for days and share an offer every other week then it’s no wonder your follower count is low and interaction is thin on the ground. You need to find where your social audience is spending its time and join in the conversation with them. Use social sites’ search features to identify people in Manchester with interests and philosophies similar to those your brand stands for and strike up a conversation with them. It’s free word-of-mouth marketing at its finest, with your new audience more likely than not sharing word of your business with friends and family and what it can provide. Content marketing is the latest darling of the online marketing industry, but anybody can do it if they have the time! Creating your own content through your own blog allows your brand to be synonymous with your voice and your passion for Manchester. Content is the creative glue that gets you noticed and keeps people coming back for more. It gives your site a personality and a human face. Take photographs of your team and share their experiences of why they love Manchester so much. Talk about why your business has set up in the region and what it means to you to serve the people in the area with your goods. Have an opinion on Manchester and your industry. Talk to local, influential people in your field and publish their thoughts on your blog. Most importantly be personable and professional with the content you create. Be passionate about Manchester, share it all on social media, and build a relationship with your audience that’ll last a lifetime! 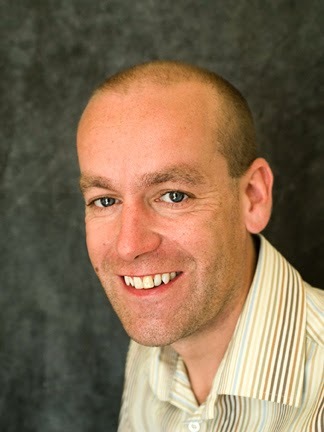 Lee Jackson is the owner of Manchester-based online marketing firm Webpresence.